It's amazing how many different companies are getting into the Smart Home business. It seems like everybody has their system and they only want you to buy their devices so they prevent their devices from working with other brands. But iHome is different. They sell their SmartHome Plug that works with all the major players, like Amazon's Alexa, SmartThings, Nest, Wink, and my favorite AppleHome Kit. 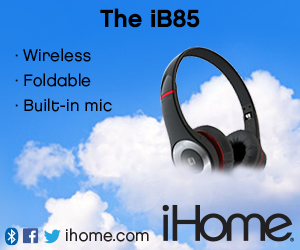 The ISP8 - comes with a dedicated remote for children and guests. It also has the ability to monitor your energy usage.